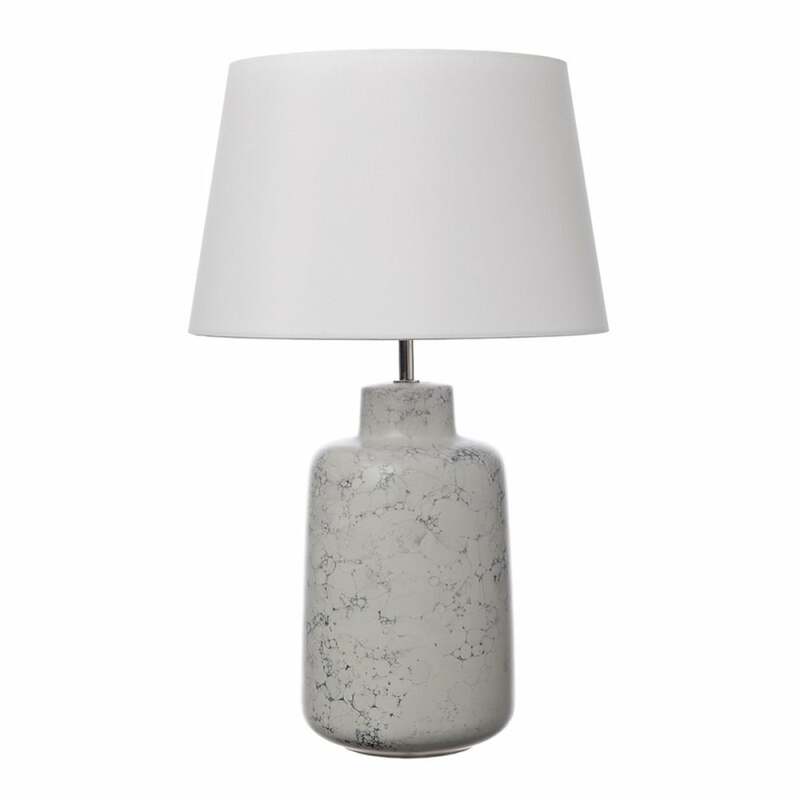 Dar Lighting Benedita single light table lamp features a ceramic base with grey marbling effect with the Cezzane French drum porcelain white shade. This beautiful table lamp is hand made in Portugal using specialist hand applied glazes which undergo transformations during firing, producing a unique work of art. Teamed with the Cezzane French drum white porcelain shade adds to the elegant look, however alternative shades can be used and a range of shades can be viewed on our website. Double insulated and operated by an inline rocker switch located on the cable. This product code is BEN4234. Dar lighting have an extensive range of beautiful table lamps, all of which can be viewed on our website.